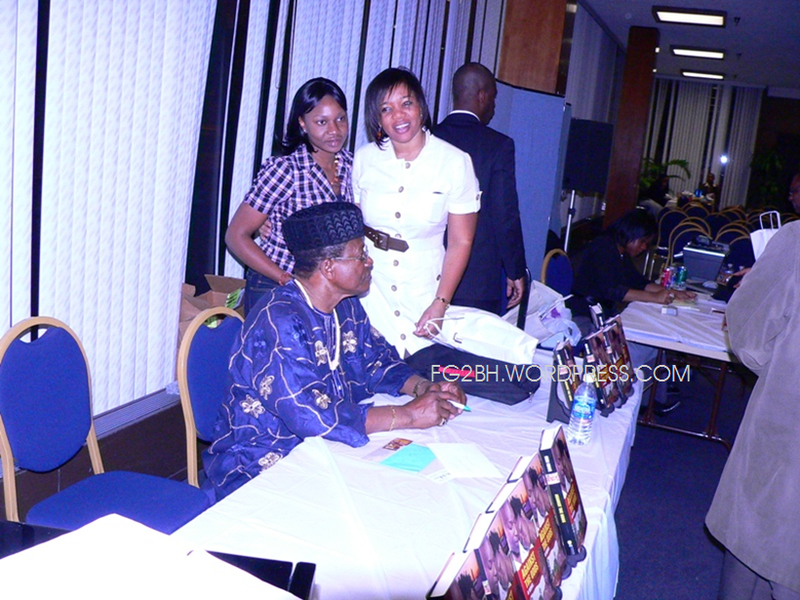 Feels Good 2 B Home | Afro/Naija News & Lifestyle! 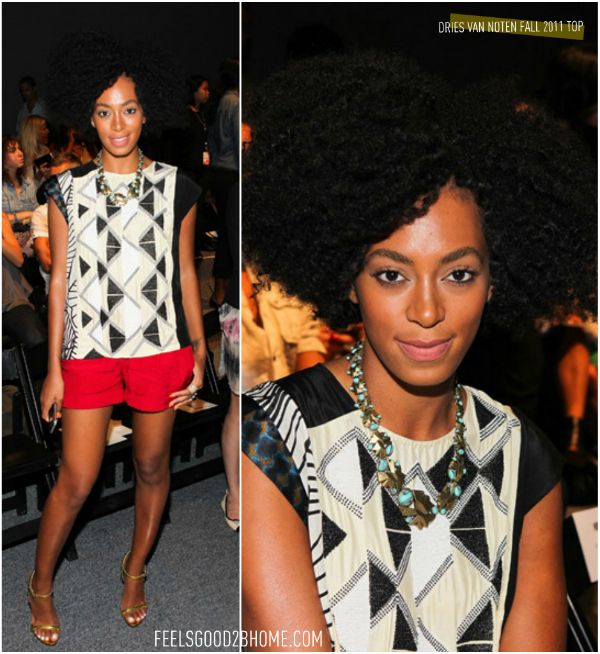 Black Hollywood fashion mavens stepped out to be amazed at the Spring 2012 designs of Tracy Reese during New York Fashion Week. 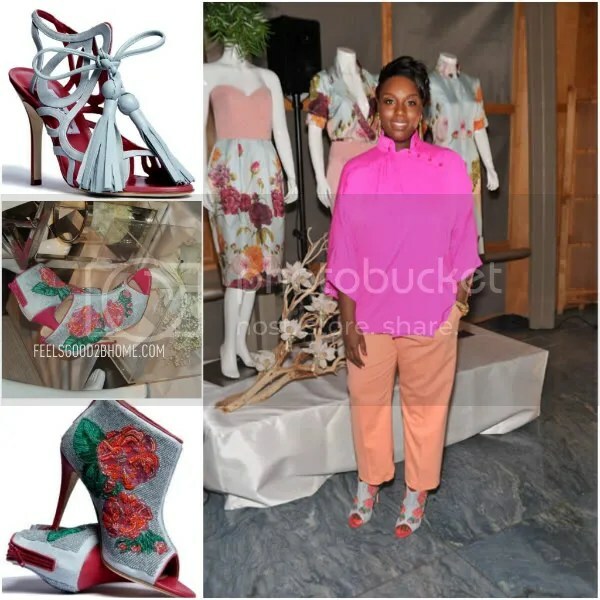 Lola Ogunnaike, Angela Bassett, Selita E. Banks, Tika Sumpter, Aisha Taylor, June Ambrose and Nikki Ogunnaike were seen front row supporting the New York based designer. Tracy Reese presented plenty of everything from funky neon, stripes, floral, sheer, knitwear, swimswear, anoraks and much more in her latest collection. 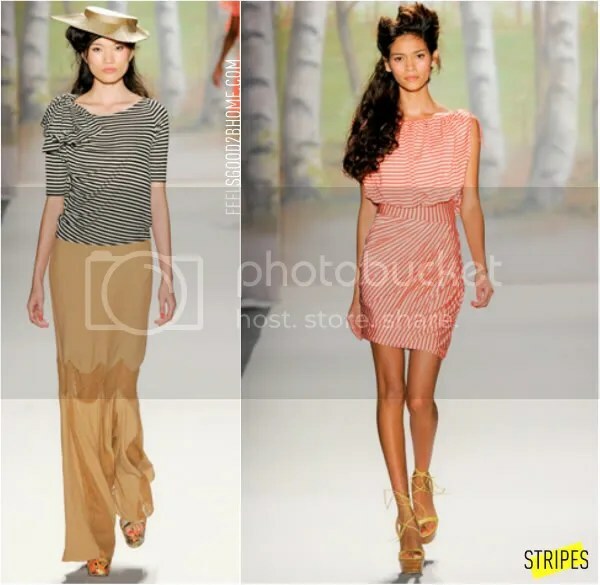 Many of the looks presented at the Tracy Reese Spring 2012 is perfect for the contemporary woman. Year after year Tracy as one of the lone black female designers at New York Fashion Week continues to dazzle both her critics and fans! This is however NOT the first time Angela wore Virgos Lounge designs. She wore a one-shoulder sequin jumpsuit with YSL pumps while promoting her brand Pastry Collection in London earlier this year. Her stylist Kanayo picked it up from a London boutique and it was a great celebration among the African fashion blogosphere set. 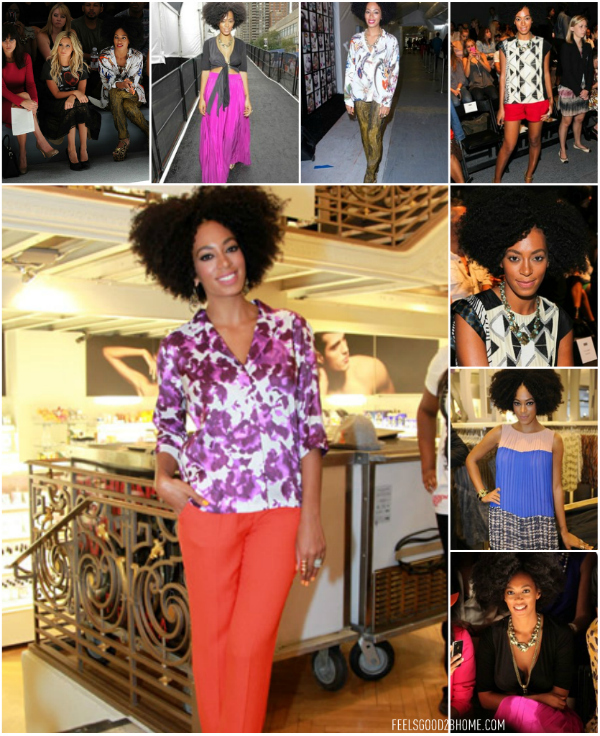 Which Virgos Lounge look do you love on Angela – NYFW or London? Angela also wore an enviable snakeskin print cut-out dress which she designed for her upcoming eponymous label. 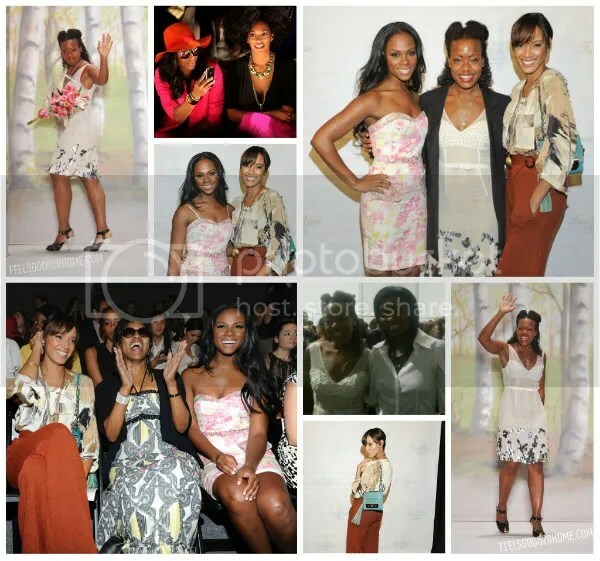 During her exciting time at NYFW, Angela pose with celebrity friends June Ambrose, Kelly Osbourne, Nicki Hilton, Whitney Port, Joy Bryant, Betsey Johnson, Russell Simmons, Carmelo Anthony, and Charlotte Ronson. 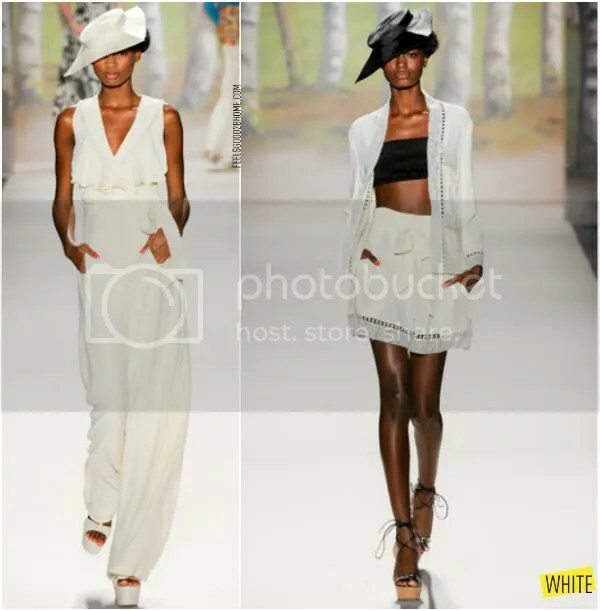 We’re eager to see what else the Nigerian, New York-based stylist has for the budding entrepreneur’s NYFW red carpet events! Leila Lopes, Miss Angola 2011, was crowned Miss Universe 2011 last night. 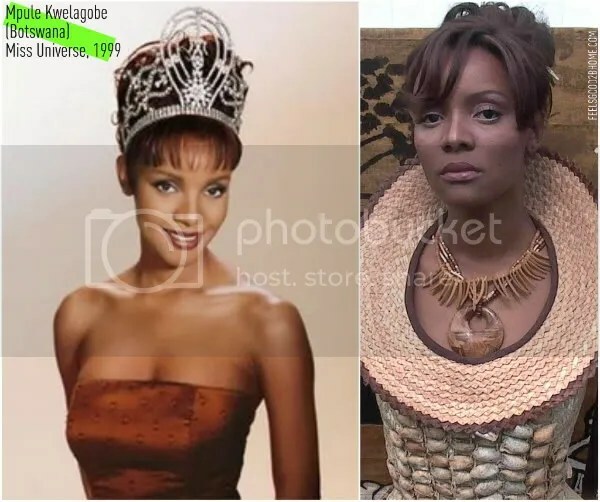 Lopes becomes the second African woman to win the coveted title at the 60th anniversary of the international beauty pageant competition. The 25-year-old is also Angola’s first winner so this win is not bittersweet but historic. Her win is credited to her personality, charisma and most importantly her response to her interview question. Leila, a business management student from Great Britian, was crowned the official Miss Angola UK on October 8, 2010 but it was her talent in the national Miss Angola 2010 competition that sealed her fate in the Miss Universe 2011 pageant. Leila’s win will go won in the history as she is the second African woman and the fourth black woman to be Miss Universe. The first African woman to win the title was Mpule Kwealagobe of Botswana in 1999, who hosted the 2011 F.A.C.E List Awards! Wendy Fitzwilliam is the third black woman and the second woman from Trinidad & Tobago to win the Miss Universe title. Wendy Fitzwilliam, a lawyer, radio TV host, author, and beauty pageant guru/entrepreneur, became Miss Universe in 1998. Wendy signed onto Facebook to honor Leila’s historic win. Only four black woman has won for the coveted Miss Universe Title and they are Wendy Fitzwilliam of Trinidad & Tobago (1998), Mpule Kwelagobe of Botswana (1999), Leila Lopes of Angola (2011), and Janelle Commissiong of Trinidad & Tobago (1977). FeelsGood2BHome.com continues to salute Africans on the rise! As seen on my pet project, Cultural Toast, Khloe was bitten by the Thakoon fever while out promoting her new clothing line with Sears called Kardashian Kollection. 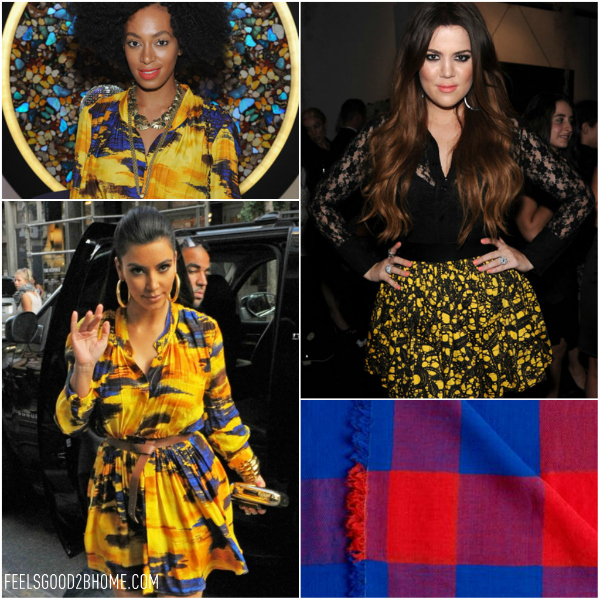 Mrs. Lamar Odom was seen in a batik-printed Thakoon Fall 2011 a-line skirt with a Kardashian Kollection sheer blouse. 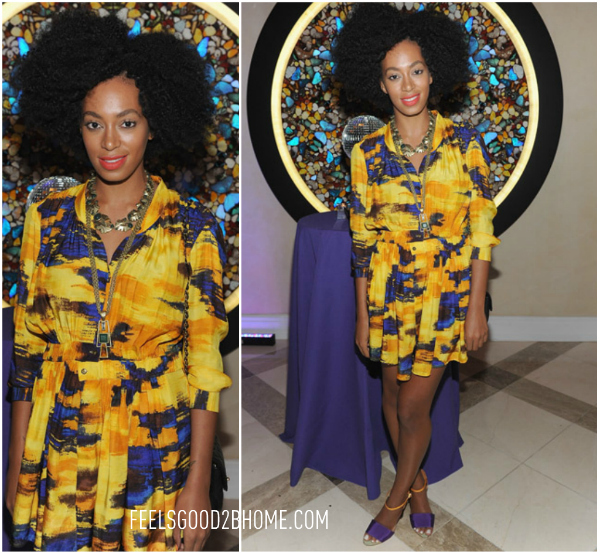 Solange Knowles took a brief break from New York Fashion Week hoopla to attend Gabrielle’s Angel Foundation party hosted by Jade Jagger and Gilt City with her favorite pair of gold and purple sandals. We also love her obsession with supporting brand Dries Van Noten’s gemometric prints! Kim Kardashian, or should I say Mrs. Kris Humphries, made a beeline for the entrance of her New York store front, Dash in the very same get-up as Solange days earlier. She completed her look with Jimmy Choo heels. FeelsGood2BHome.com readers, it’s that fun time once again for a fabulous Fashion Face-off. 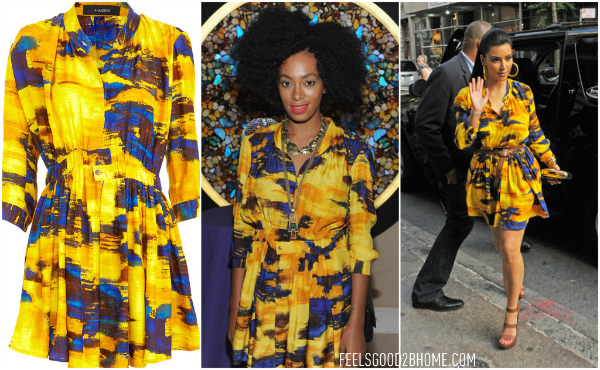 Solange Knowles vs. Kim Kardashian in Thakoon – Which Lady Pulled Off the Look? 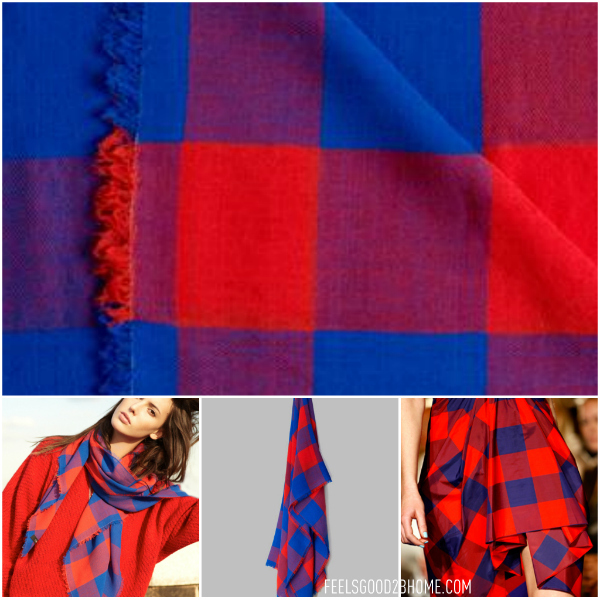 All of this naturally pales in comparison to Thakoon’s limited edition Massai-printed scarf that they created to help famine victims in Somalia. Shop the look for $250 at thakoon.com. 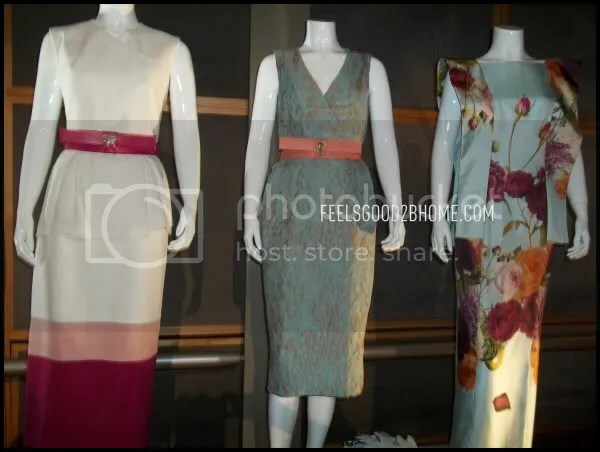 Fashion with style is always celebrated here at FeelsGood2BHome.com! 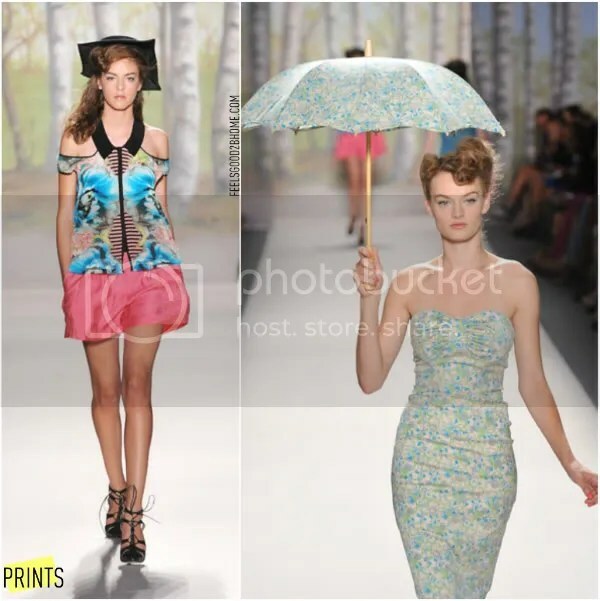 Rain certainly did not prevent a flock of fashion mavens to attend the Mimi Plange Spring/Summer 2012 show on day one of New York Fashion Week! 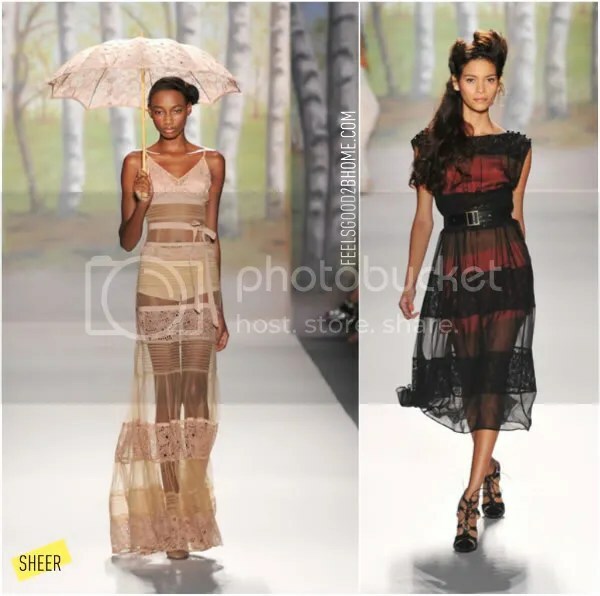 Inspired by the indigenous women from Herero and Himba of Naimbia, Mimi Plange’s newly released Spring/Summer 2012 collection not only delivers on quality but mixing classic vintage with modern, cutting-edge designs. Yours truly was on the scene capturing the event exclusively for FeelsGood2BHome.com readers! 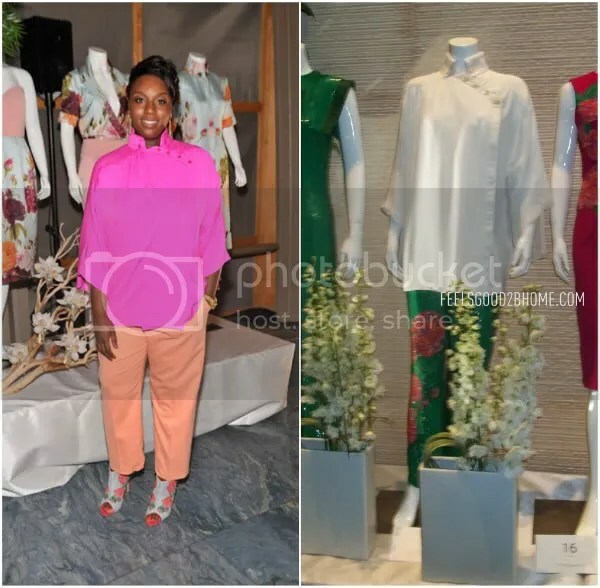 Mimi has had a career high this past year from her NYFW Fall ’11 presentation to celebrities wearing her designs. It’s no wonder she collaborated with premier luxury footwear brand Manolo Blahnik to design a intricately handcrafted two shoe collection for her new line! 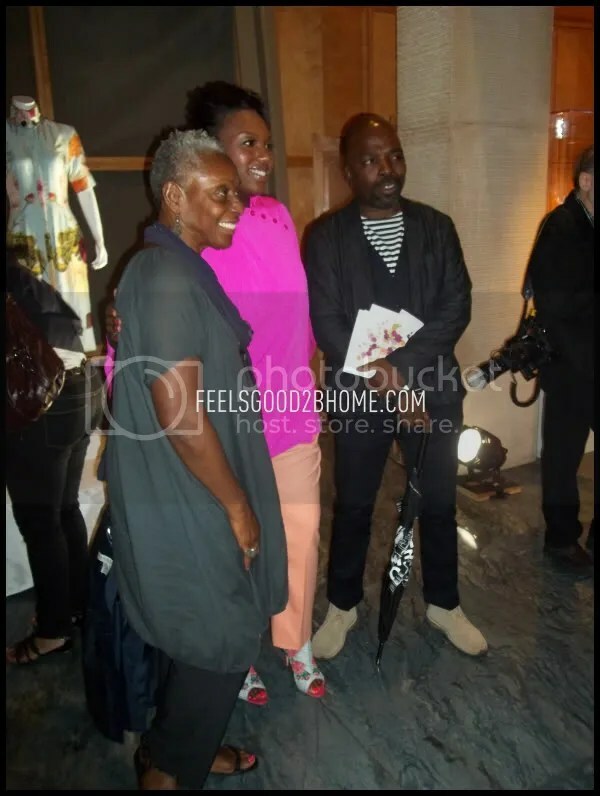 High-profile fashion industry guests like Vogue Editor-At-Large Andre Leon Talley, celebrity stylist guru Rachel Zoe, fashion designer Duro Olowu, InStyle Magazine fashion editor Nikki Ogunnaike, Pop Africana‘s Oroma Elewa, stylist Ugo Mozie, Hertiage 1960 founder Enyinne Owunwanne and Vogue Italia Editor-At-Large Bethann Hardison came out to support Mimi. Aptly named “A Flower in the Desert”, each style item in the 19-piece collection has luxurious, Mimi-designed floral accents. 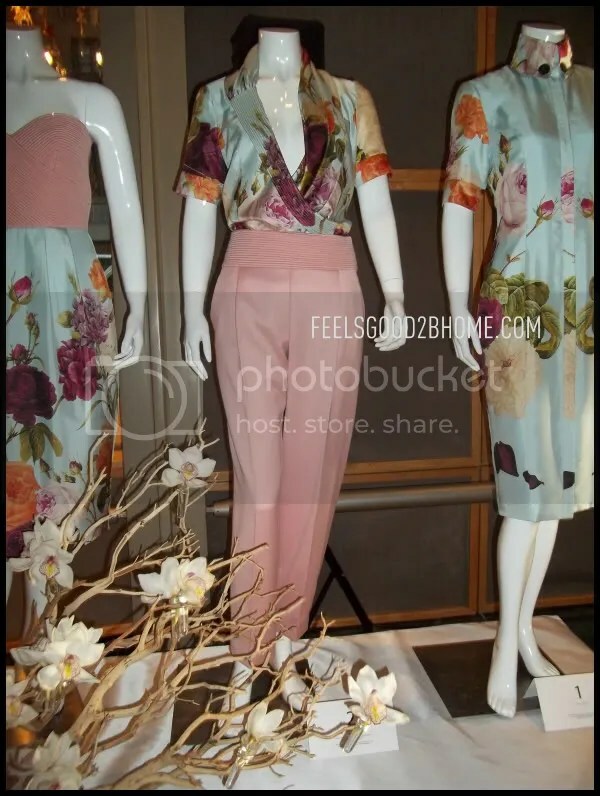 For her highly-anticipated show, Mimi wore a pink button-up blouse from her new collection with a pair of Manolo Blahnik for Mimi Plange open-toe floral embroidery booties. 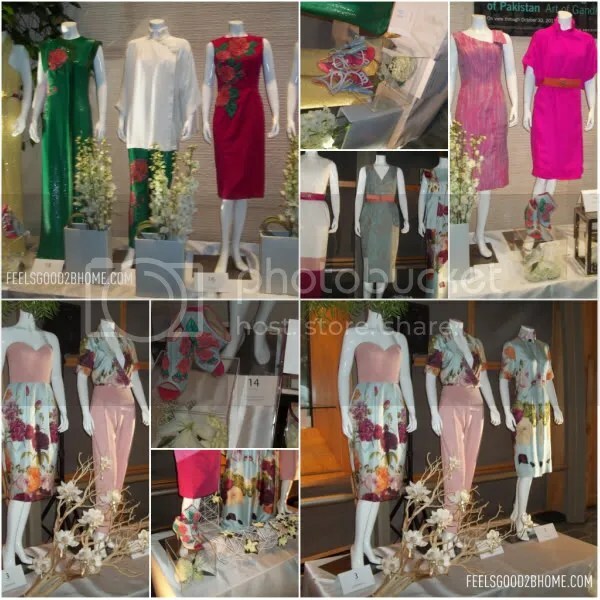 I spoke to Mimi during the presentation and she spoke highly of the source of her inspiration for A Flower in the Desert collection. 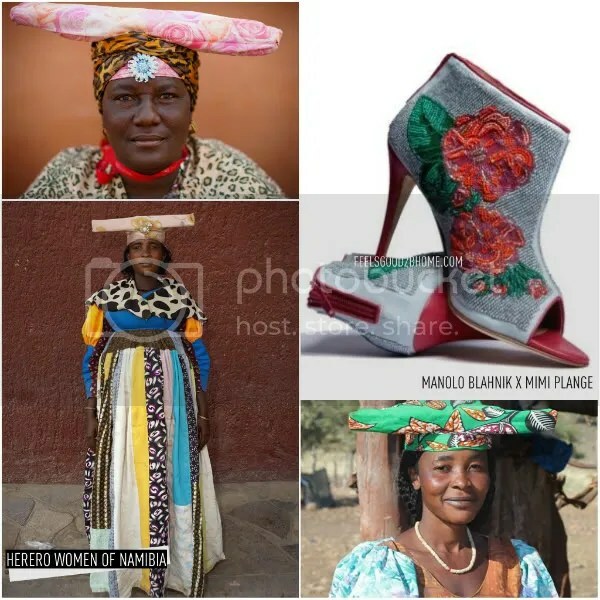 The Manolo Blahnik for Mimi Plange shoes are inspired by the Victorian dress of the Herero and the traditional dress of the Himba women of Naimbia. 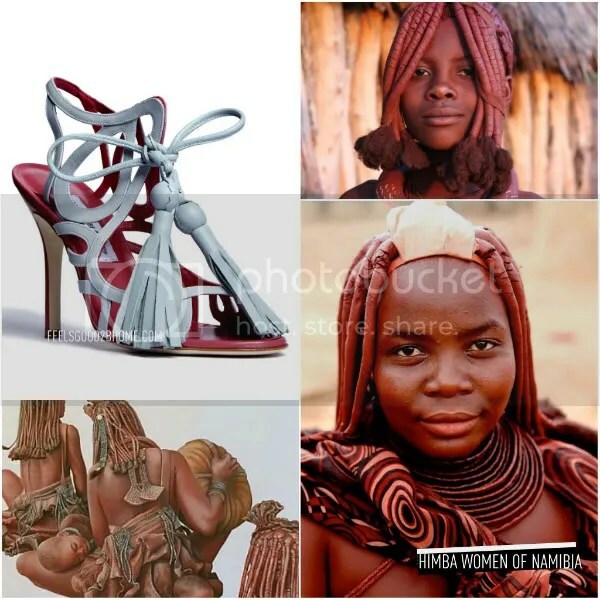 I put together collages of the traditional garments as seen on the Hereo and Himba women of Naimbia. The beading on the floral booties is similar to the Victorian Herero ladies and it reflects the techniques of Southern African detailed pattern beadwork. The tassel and coloring on the leather sandals borrows its inspiration from the Himba woman. One of the night’s biggest attractions was of course the celebrity guests who came out on day one of New York Fashion Week to support Mimi’s latest offering. 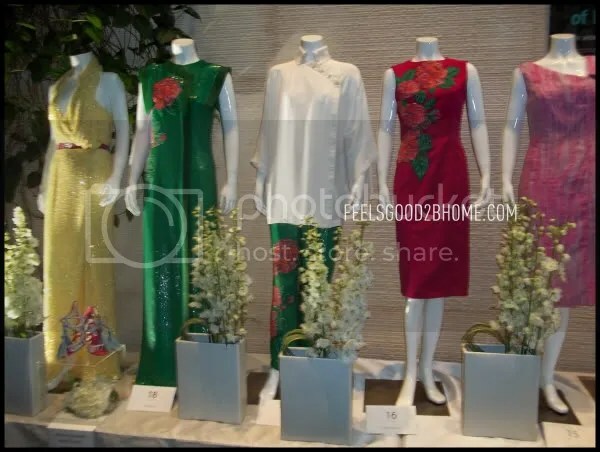 When Rachel Zoe, Duro Olowu, Bethann Hardison and Andre Leon Talley, the media and bloggers crowded around in amazement. Rachel Zoe, I noticed, wore a printed, custom-made Missoni for Target gown. 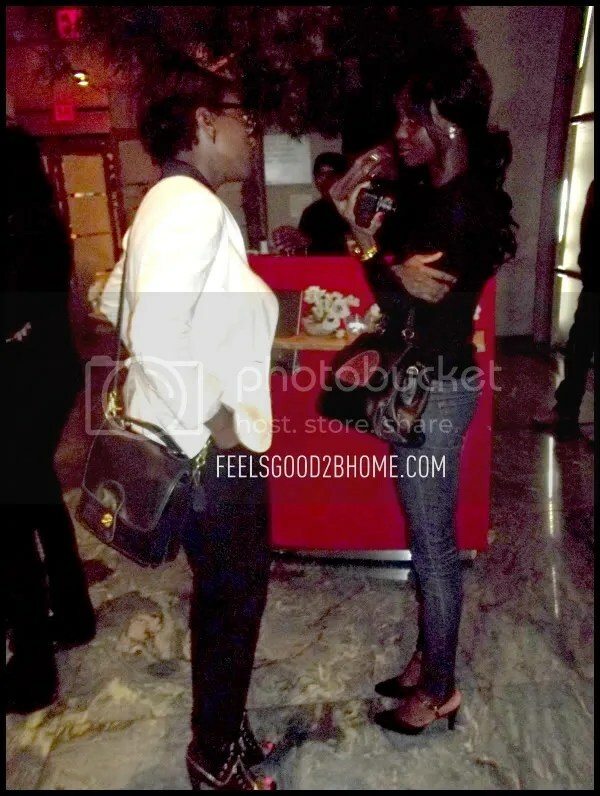 I drooled over Nikki Ogunnaike’s Alexander McQueen black booties and monochromatic blazer. Working with Preston Bailey was an extreme honor, to say the least. 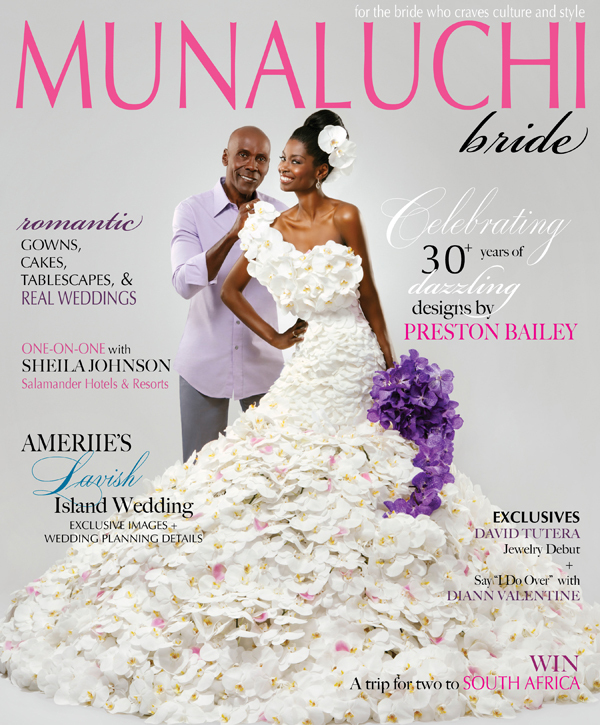 The wedding dress worn by our cover model, Anouschka, was inspired by a Marchesa gown and created using stems from 250 white phalaenopsis orchids, 400 white hydrangeas, 300 white tibet roses, and 100 pink rosita vendela roses. All of the flowers were flown in from Royal Base Corporation in Taiwan and it took 3 people and 24 hours to create this work of art. 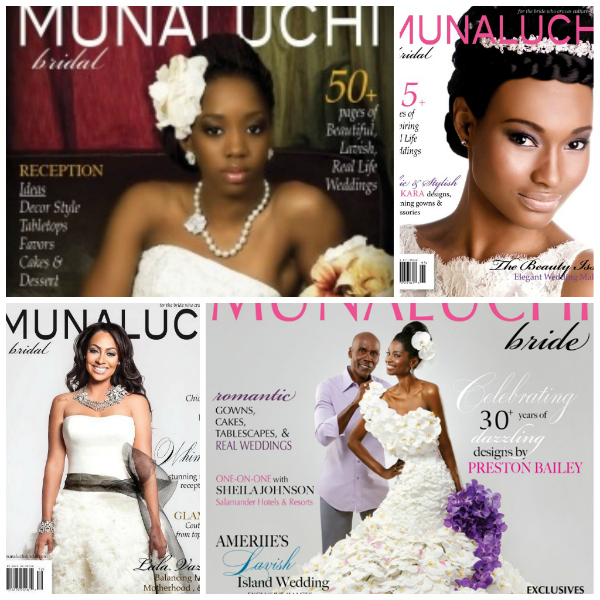 So it just blows my mind when I think about the work that went into putting this gown together….for us! That just goes to show…when you dream big, big things happen.